Daniel Hughes: Bio & Choral Music | Santa Barbara Music Publishing, Inc.
Daniel Hughes is in constant demand as a conductor, accompanist, coach and choral clinician. Mr. Hughes also serves as the founder and director for Menharmonics ~ a men’s chorus dedicated to celebrating diversity, creating community, and forming fellowship through quality musical performance. In addition to his work with these two choirs, Hughes is the Chancel Choir Director for Los Altos United Methodist Church. Hughes has directed sessions in Vocal Pedagogy and Conducting Technique for the American Choral Directors Association, the California Music Educators’ Association, and GALA Choruses. He has been a regular adjudicator for the California Golden State Choral Competitions, and has conducted honor choirs throughout the West Coast. He regularly conducts the San José Chamber Orchestra and The Choral Project in an annual winter-themed program. Other collaborations include international performances with well-known ensembles such as Costa Rica’s Café Chorale, and creative work with award-winning Broadway composer & lyricist Stephen Schwartz. His concert appearances include performances at Lincoln Center (New York City), Gusman Concert Hall (Miami), and Davies Symphony Hall (San Francisco). Hughes began studying piano and composition at the age of four. He has extensive training in piano and voice, and holds a Master of Arts degree in Conducting. In addition to his awards with The Choral Project, he is the recipient of the 2013 Arts Council Silicon Valley Artist Laureate Award in the "On Stage" category for his ground-breaking contributions to the arts in Santa Clara County; a 2010 Silicon Valley Arts & Business Award; the 4th place award ~ Small Ensemble Category (35th International Choral Competition, Gorizia, Italy); the 2nd place award (ACDA National Student Conducting Competition); the Christina Cadena Memorial Accompanying Scholarship; and the California Arts Scholar Awards for piano and composition. 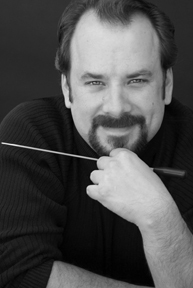 He is an accomplished composer & arranger, and has his own choral series through Santa Barbara Music Publishing. Mr. Hughes’s biography is featured in Who’s Who in America. He maintains a private music studio in the Bay Area. Daniel Hughes has 5 titles published with Santa Barbara.